A subcompact crossover might seem like something of an automotive oxymoron. How does a crossover more akin to the Civics and Corollas of the world find a place in the typically rugged, aggressive majority of its segment? The Mazda CX-3 is one of those curious entries from the innovative Japanese marque that breaks down this paradox. Essentially a bulked up version of the supermini Mazda2 hatch, the CX-3 was born into production this year as a small, yet impressively capable, sibling to the CX-5 and CX-9. It's affordable, sporty, and great in the fuel economy stakes, but can the CX-3 do more, especially compared to competitors like the Fiat 500X Pop, Jeep Renegade Sport or Honda HR-V? We gave it the AxleGeeks treatment and dove deep into the CX-3’s performance data, safety stats, cargo space and other features to find out. With a $19,960 MSRP the Mazda CX-3 costs about 14 percent less than its competitors. If you want a crossover but are worried about your budget, as its 47 percent cheaper than all 2016 SUVs and crossovers combined. At 29 mpg city and 35 mpg highway, this subcompact crossover averages an economical 32 mpg combined, thanks in no small part to its efficient engine and low curb weight. The CX-3 boasts up to 5 mpg more fuel economy on city streets than other compact crossovers. Full to empty, it’ll travel 368 miles per tank in the city and 445 miles on highway trips. Respectively, that’s a 57- and 51-mile advantage over its peers. Equipped with a naturally aspirated, 2.0-liter inline 4 cylinder engine, the Mazda CX-3 sends power to the front wheels through a 6-speed automatic gearbox. This produces a perfectly even 146 horsepower and 146 ft. lb. of torque in the low end. All-wheel drive suits a number of weather conditions without sacrificing performance. The CX-3’s sprightly presence on the road compensates for its lesser engine output; at 2,809 pounds, we calculated it at 158 pounds lighter than other compact SUV crossovers. Compared to its bulkier brethren, the Mazda weighs 1,270 pounds less. The CX-3 offers a 19.2 lbs. per HP weight-to-power ratio, which is average for its class. In comparison to all 2016 SUVs and crossovers, its weight-to-power ratio is nearly three pounds per horsepower more. In the front row, drivers and passengers will find up to 38.4 inches of headspace and 41.7 for their legs — the latter measuring in at a quarter inch more than small SUVs of similar scale and size and a third of an inch more compared to larger crossovers. Passengers of a taller persuasion might find the backseat a bit cramped for extended periods of time. Back-row passengers have only 37.2 inches of headroom and 35 inches of legroom to work with. With those numbers, this crossover offers 0.8 of an inch less headroom than its competitors and 3.3 inches less legroom than all crossovers on the whole. Storage space isn’t the forte of any subcompact, so keep in mind that the CX-3’s 12.4 cubic feet of rear cargo space will fit minimal cargo, bags or other items. Fold down the rear seats and that space expands nearly four times to a total of 44.5 cubic feet. At its best, the CX-3’s cargo space is only 6.1 cubic feet less than its small SUV and crossover rivals. Below is a side-by-side comparison of the 2016 Mazda CX-3 Sport's price, power, efficiency and cargo space to help interested buyers determine how this car truly stacks up in each category. Will the Mazda CX-3 become one of the more popular subcompact SUV leaders in the evolving trend of sporty crossovers? As far as accolades go it was a contender for the Motor Trend SUV of the Year, as well as a North American Car of the Year nominee in 2016. 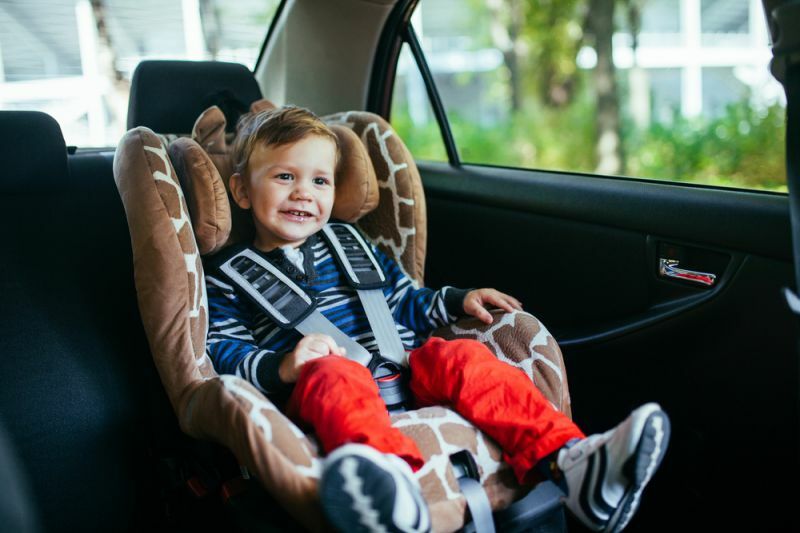 A car's safety equipment and crash-test performance can play a pivotal role in shaping your buying decision; this is why finding the safest brands can aid you in selecting a vehicle that gives you peace of mind. To find the safest car brands, AxleGeeks took into account the percentage of 2015-2016 vehicles per brand that earned a five-star overall rating with the National Highway Traffic Safety Administration (NHTSA). Moreover, we also looked at the ratings from the Insurance Institute for Highway Safety (IIHS), which assigns top safety pick ratings to vehicles that display high levels of protection and offer crash-prevention technology. Lastly, we compared different safety offerings each manufacturer equips its models with to identify which brands offer the most safety features across their vehicle lineups. Based on the compiled information, here are the 15 safest car brands. The German manufacturer made the list because 15.4 percent of its vehicles earned a five-star overall safety rating from the NHTSA, giving it a slight edge over other German non-luxury brands. However, Volkswagen equips only 3.8 percent of its models with adaptive cruise control, resulting in a significant disadvantage when compared to all German brands — where 33.8 percent of vehicles come with this safety feature. Similar to Volkswagen, 15.4 percent of Infiniti’s lineup earned an overall five-star NHTSA safety rating. Unlike Volkswagen, Infiniti also earned the IIHSA Top Safety Pick+ on 15.4 percent of its lineup, providing it with a substantial edge on all Japanese luxury brands. Infiniti also equips more of its vehicles with adaptive cruise control (53.8 percent) than its luxury counterparts average (33.2 percent). Over 17 percent of Toyota’s vehicles earned a five-star overall rating from the NHTSA, allowing it to have an advantage over non-luxury Japanese brands, where the average per lineup is 15.7 percent. Toyota also equips 27.5 percent of its vehicles with a pre-collision safety system, while the average for all Japanese non-luxury brands is 25 percent. GMC's safety offerings illustrate its high level of commitment to supplying safe vehicles, as 18.8 percent of its lineup earned a five-star overall safety rating, putting it right in line with the average for other American non-luxury brands. Meanwhile, GMC offers head-up display in 18.8 percent of its models; only 2.5 percent of other American non-luxury brand lineups offer this feature. Over 19 percent of Ford’s lineup earned a five-star safety rating from the NHTSA. Adding to this is Ford's sizeable advantage over other American non-luxury brands: 4.3 percent of its vehicles earned the IIHS Top Safety Pick award while its competitors averaged 2.5 percent per lineup. Moreover, more Ford vehicles come with adaptive cruise control, blind-spot monitoring and rearview cameras than the competition. However, to its detriment, only 2.1 percent of Ford's models come with a pre-collision system, which is woefully short when compared to all non-luxury brands, where the average is 10.2 percent per brand lineup. In total, 22.5 percent of Chevy's lineup earned a five-star overall NHTSA safety rating, giving it a slight edge on competitors like Ford. Chevy shines with its post-collision system offerings, as 37.5 percent of its vehicles come equipped with this system — 23 percent of other American brand lineups come with a similar feature. Volvo had 7.1 percent of its lineup earn the IIHS Top Safety Pick+ Rating, putting it among the best brands in this regard. Volvo stands apart from other brands by equipping more of its vehicles with adaptive cruise control, blind-spot monitoring, lane-departure warning and rearview cameras. Its NTSA five-star average of 28.6 percent is over double the average for luxury brand lineups. For a luxury brand, Cadillac touts an array of safe vehicles, as 31.6 percent of its models earned a five-star overall safety rating from the NHTSA. Compared to the 11.5 percent average for all luxury brands, Cadillac has a significant advantage in safety performance. Additionally, 26.3 percent of its vehicles come with a pre-collision safety system. By comparison, 11.8 percent of luxury brand models offer this. Nearly 5 percent of Kia’s vehicles have the IIHS Top Safety Rating whereas the average for all non-luxury brands is 3.3 percent. Adding to Kia’s favor is the fact it offers more vehicles with adaptive cruise control and head-up display than the average for its competition. A high 33 percent of Kia's fleet received a five-star NHTSA overall rating. Over 8 percent of Lincoln’s vehicles have the Top Safety Pick Rating from the IIHS. This is an impressive achievement when you consider that, for all American luxury brands, the average is 3 percent per lineup. Lincoln offers more safety equipment per model. As an illustration, 33.3 percent of its models come with blind-spot monitoring while the average is 16.9 percent for other luxury brands. Safety is an integral part of Honda’s design, resulting in 35.3 percent of its lineup earning a five-star NHTSA overall safety rating. What’s more, Honda is second among all brands for its IIHS Top Safety Pick Ratings, with 11.8 percent of its vehicles making the list. Nearly 18 percent of Honda's vehicles come with blind-spot monitoring compared to the 10.4 percent average per lineup for other Japanese non-luxury brands. Across the board, Subaru excels in safety accolades. Nearly 36 percent of its vehicles received a five-star overall rating from the NHTSA, while 7.1 percent had the honor of gaining the IIHS Top Safety Pick+ Rating. Furthermore, Subaru tops the charts for its percent of vehicles with the IIHS Top Safety Pick Rating, at 14.3 percent. On average Subaru equips 42.9 percent of its models with adaptive cruise control. By comparison, all non-luxury brands average 14.8 percent for this feature. Over 39 percent of Hyundai's lineup earned a five-star NHTSA overall safety rating. An area of improvement for Hyundai moving forward is increased adaptive cruise control. Currently, it equips just 7.1 percent of its models with this feature, equating to less than half the 14.8 percent average of all non-luxury brand lineups. Buick’s brand overhaul continues, as it’s second on the list with 50 percent of its models earning a five-star NHTSA overall rating. Buick equips 16.7 percent of its models with a pre-collision safety system, earning it an advantage over the 10.2 percent average for all non-luxury brands. Acura does a remarkable job developing vehicles with exceptional safety performance. Nearly 73 percent of its models have a five-star NHTSA overall safety rating, while 18.2 percent earned the IIHS Top Safety Pick+, making the brand the safest among vehicle manufacturers.